Deedcoin, a digital currency startup that wants to disrupt real estate commissions by paying agents partly in digital currency tokens, last night began a private pre-sale of its tokens priced between $1.50 to $3.00. The company claims that it has partnered with registered agents in 44 states, according to a document Deedcoin provided to Inman, (though its map shows fewer). These agents have agreed to accept Deedcoin tokens as part of their payment, in addition to drastically reduced commissions paid in U.S. dollars—as low as 1 percent, according to the company’s launch website. Last night, Deedcoin sent an email to its newsletter list inviting recipients to access a private portal to purchase Deedcoin. Participants in the private sale were instructed to visit the portal site, agree to the terms, enter the amount of Deedcoin they want to order, and click “pay now” to pay with a credit card or digital currencies ether, bitcoin or litecoin. Buyers could expect their purchased Deedcoin to arrive in one business day to their Ether Wallet address, the message said. Though the private sale marks a soft launch of sorts for the digital currency network. The company plans to hold an Initial Coin Offering (ICO) on January 25, when it will open its tokens for sale to all members of the public. 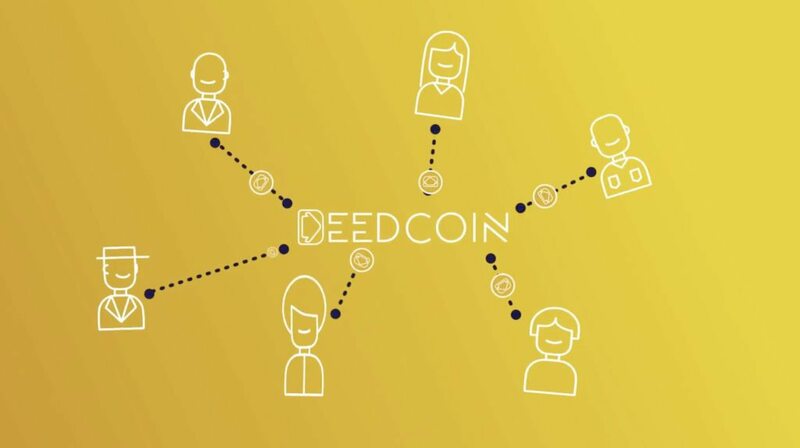 In compliance with SEC regulation, U.S. Deedcoin purchasers are limited to 1,500 Deedcoin ($2,250) plus bonuses, UNLESS you are an accredited investor. The system will need you to upload documentation to verify your accredited status if you order above this limit. Deedcoin is just one of a growing number of real-estate themed ICOs planned for the month and year ahead. See more on the aggregator website ICO Alert. Update: This post was updated after publication to fix a sentence fragment and to include Deedcoin’s document showing participating agents in 44 states.